Laser ranging applied to space geodesy is a conceptually simple technique using short laser pulses from small astronomical telescopes on the ground to retroreflectors on artificial satellites (SLR) or the moon (LLR), reflecting the incoming laser light back to the source. During the satellite/moon pass, the times of laser emission and photon detection are recorded with an accuracy of a few picoseconds and the deduced time of flight is a direct, clean measure of the distance between the ground station and the target. Despite its simple concept, SLR is technologically challenging when the ranging requirement is below 1 cm accuracy for Earth orbiting satellites. The SLR observation dataset is a valuable source of data to measure fundamental geophysical parameters and their temporal variations over different time scales. The distinctive sensitivity of the SLR technique to global parameters, as the origin and scale of the Terrestrial Reference Frame (TRF) or the temporal variation of the Earth gravity field, profits from the remarkable time span of its observations dataset. On several critical missions, SLR has provided failsafe redundancy when other radiometric tracking systems have failed. The SLR network is composed by roughly 40 stations but more than one half of them do not achieve the performance requested by the International Laser Ranging Service (ILRS). The SLR strength is only limited by its network. Fully integrated in the worldwide network, ASI/CGS is in continuous operation since 1983. The satellite ranging started with the station SAO-1, built in 1972 by the Smithsonian Astrophysical Observatory, and then continued, from 2000 on, with the Matera Laser Ranging Observatory (MLRO) which replaced the old system. 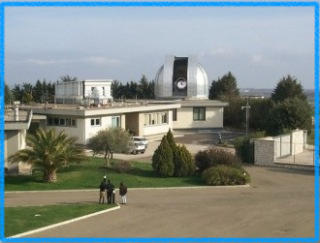 MLRO is one of the most advanced Satellite and Lunar Laser Ranging facility in the world and has been conceived to be a multipurpose state-of-the-art observatory capable of supporting a variety of experiments. Its main mission will be both one- and two-color laser ranging to artificial satellites and Moon. MLRO subsystems and components have been carefully choosen to exploit the best of currently available technology.